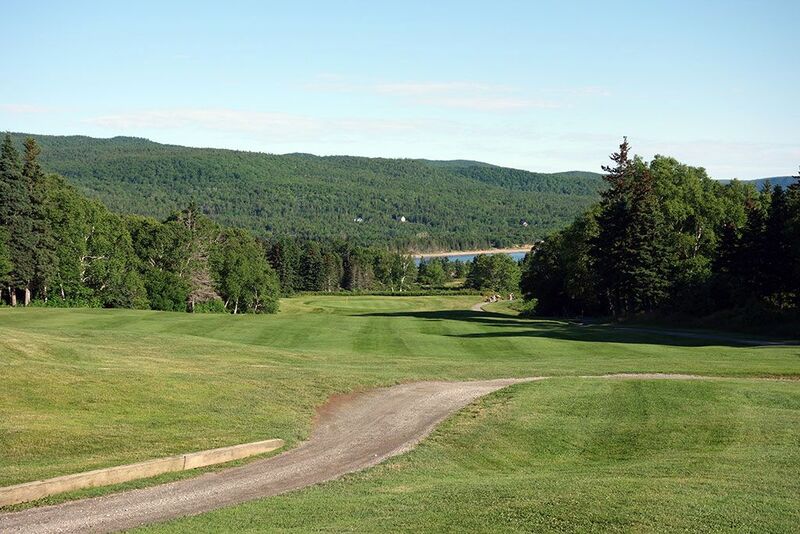 Course Website: Official Website - Visit Highlands Links at Cape Breton's official website by clicking on the link provided. 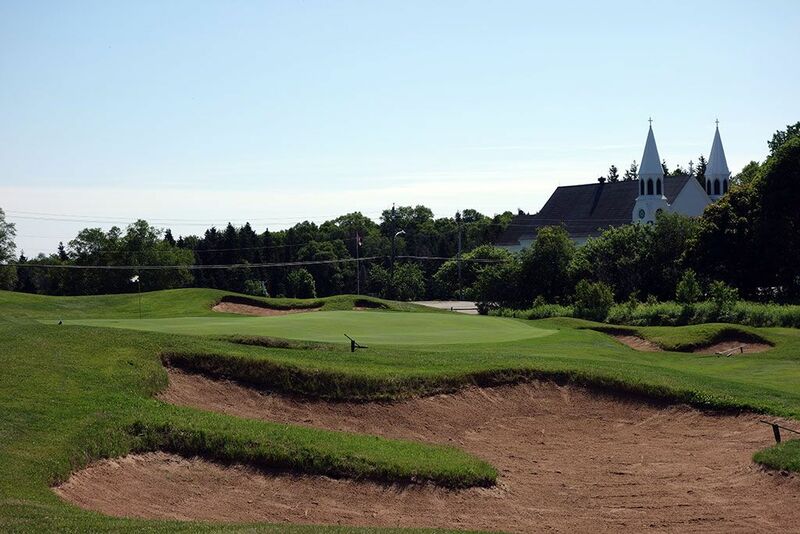 Accolades: Ranked 2nd in Nova Scotia on Golf Course Gurus' Best in State list. 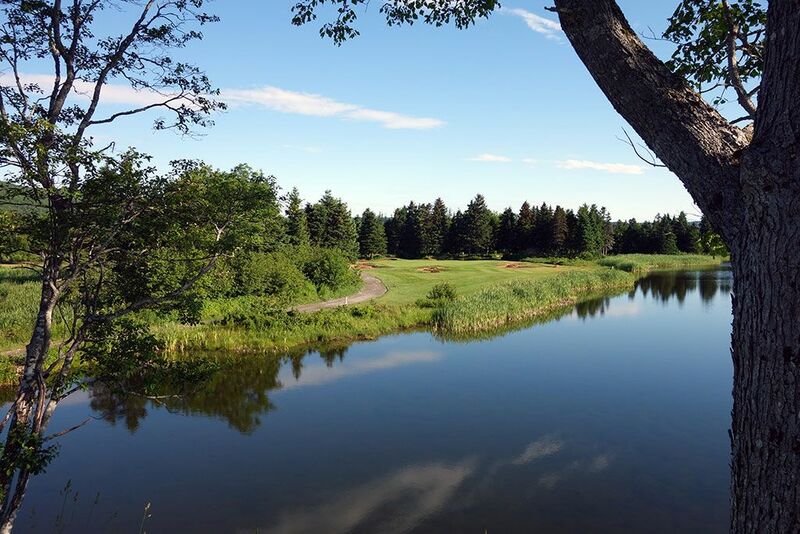 What to Expect: Located in national forest land, Highland Links enjoys ones of the most scenic and unique locations in Canada. 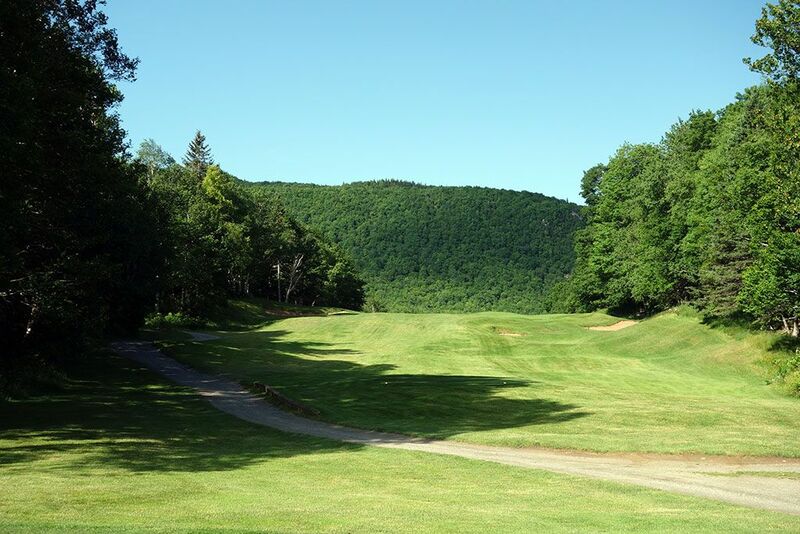 The Stanley Thompson gem features hilly, undulated fairways and thus all sorts of lies to deal with. As the starter put it, "I haven't found a 3-wood lie out there yet!" The movement throughout the fairways and greens is what delivers so much of the uniqueness in the layout at Highland Links which combines with the solitude offered by the mature trees lining every fairway. 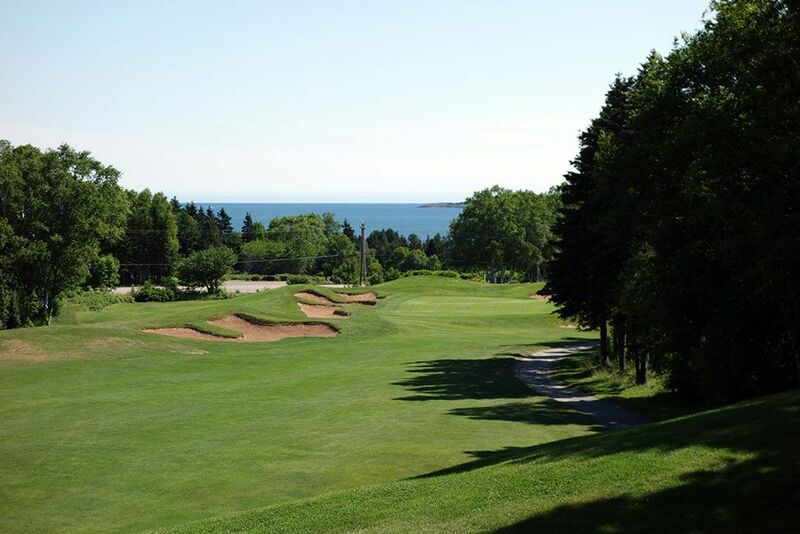 Views of the the ocean are afforded a couple of times throughout the round while the impressive and old school Keltic Lodge takes full advantage of the scenery with rooms that boast jaw dropping views of the Atlantic Ocean and surrounding terrain. 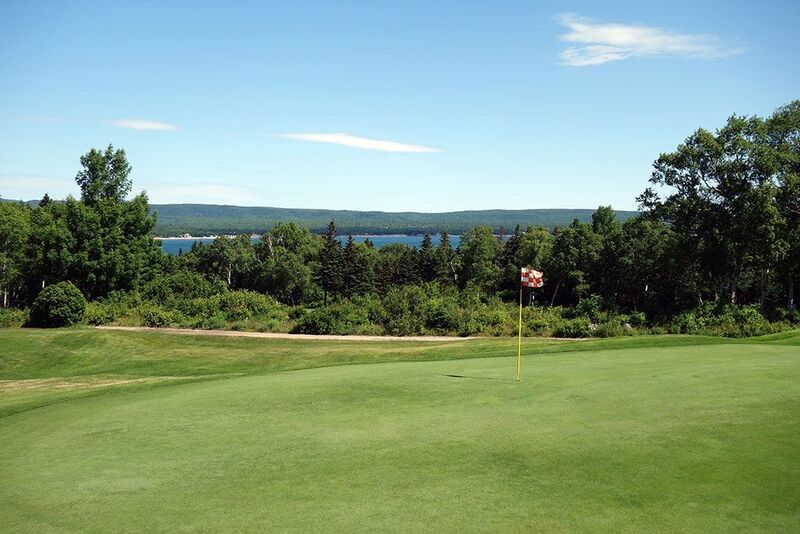 Staying at Keltic Lodge while playing at Highland Links is an opportunity that should absolutely not be missed. The golf course doesn't punish you with too much length and the fairways are wider than I was expecting for an older course that is carved through heavy trees. If you do manage to hit your ball into the woods you will likely have a difficult time finding it given the amount of undergrowth that loves to hide golf balls. I can't imagine anyone getting bored playing this layout given the impressive variety in the design although one theme that repeats is the downhill nature of nearly every par three; which is countered by the fact that downhill par threes are fun to play. While Highland Links used to have a reputation of poor conditioning, the abandonment of the government being in charge of the course coupled with Ian Andrew's restoration work has significantly raised the bar of turf conditions with the greens being especially good. While there are 2-3 long stretches between greens and tees, many patrons of Highland Links elect to walk the course and handle the undulated terrain just fine. 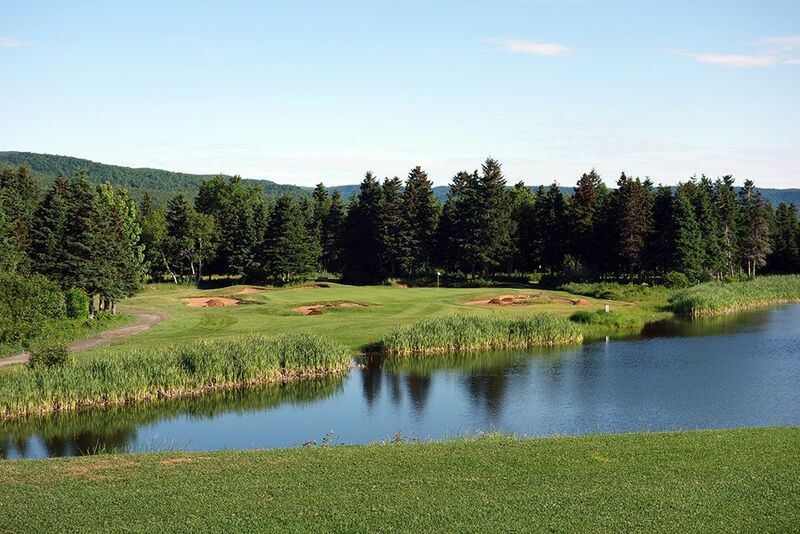 Signature Hole: 3rd Hole – 160 Yard Par 3 – The beautiful 3rd hole plays over a pond to a green protected by five bunkers. A grove of trees right of the green blocks the view of the Atlantic Ocean but the hole is no less beautiful. After a pretty straight forward opening hole, Highlands Links quickly kicks it into high gear with some great holes with this one-shorter standing as the most attractive. The green is pretty good size so if you haven't picked up a green in regulation yet, you ought to be able to do it here and make a run at a birdie. Best Par 3: 10th Hole – 145 Yards – Highlands Links enjoys a memorable collection of par threes, most of which play downhill, and the 10th is a great one. A feature that you simply don't see enough, the 10th features two separate teeing areas which play from totally different angles approximately 90 degrees apart. The upper tee box plays well downhill and boasts a tree covered hill in the background. 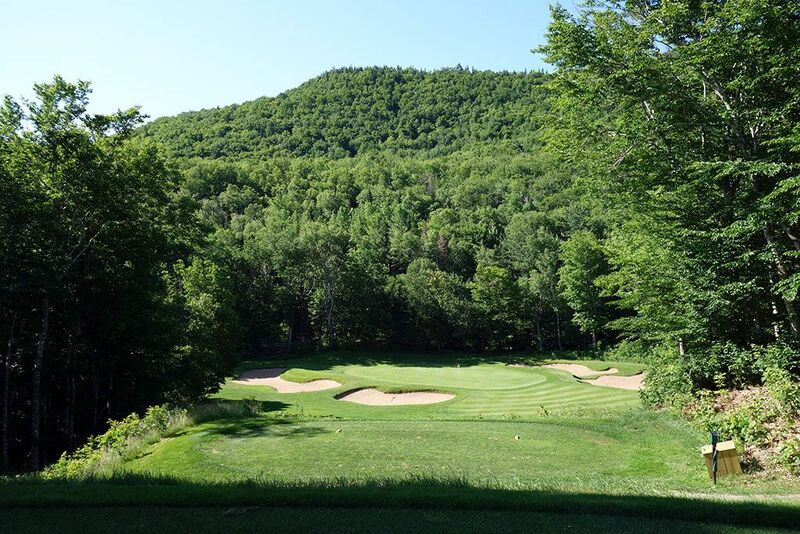 From the lower tee, the tree covered hill is off to your right as you attack the green with a wedge or lower iron. Between the downhill approach and separate tee boxes, this is a fun hole to play. Best Par 4: 2nd Hole – 447 Yards – From the tee players have little idea what lies ahead other than being able to see the fairway begin doglegging right out of view. 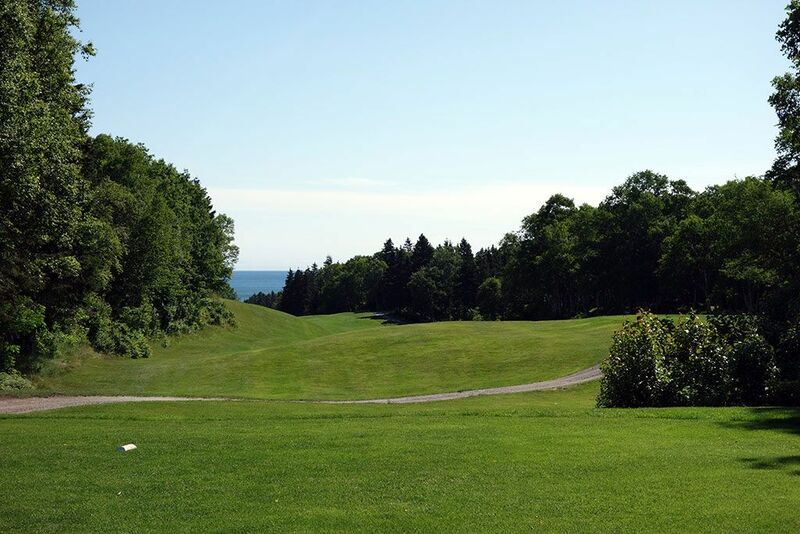 Upon reaching the turn in the fairway players are presented with an impressive downhill view to a green that boasts a pond on the right and the Atlantic Ocean in the background. The player that properly judges their tee shot can cut their ball around the corner and tumble it down towards the green while those that lay up will be left with a lengthy approach shot to a bunker less green but requires the correct angle for a legitimate shot at hitting the putting surface. Best Par 5: 15th Hole – 540 Yards – The most memorable and photographed hole at Highlands Links is the par five 15th that features a rolling fairway and perhaps the most attractive green site on the property. 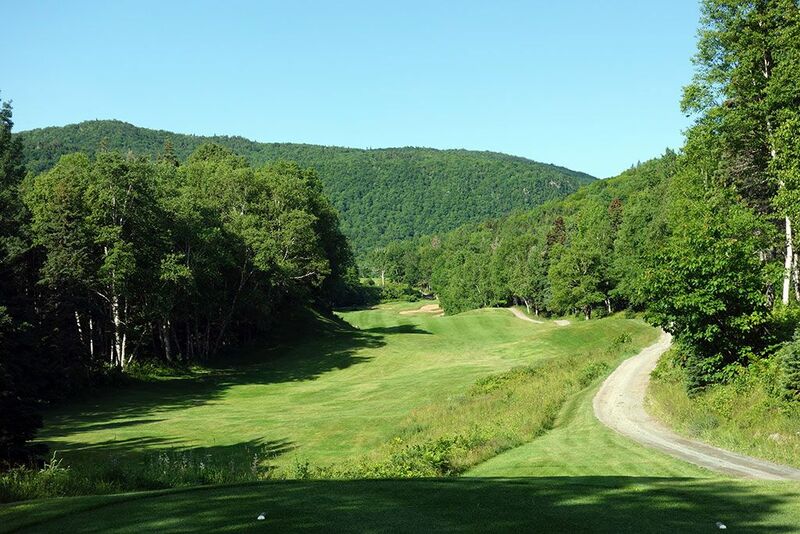 The amount of movement in the fairways cannot be overstated at Highlands Links where you simply have to learn how to hit off an uneven lie if you expect to have any success whatsoever. Players that manage the undulations in the 15th fairway can have a shot of reaching the green in two but will face the most heavily protected putting surface on the course where seven bunkers are found. The Kodak moment on this hole is from the high right side of the fairway where you are afforded an unobstructed view of the green, bunkering, and the Atlantic Ocean in the background with Ingonish Island breaching the surface. 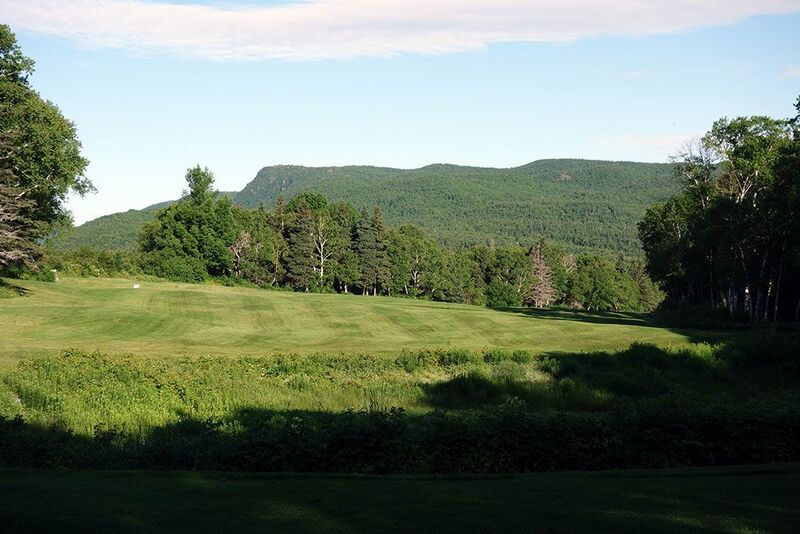 From the left side of the fairway players will see the iconic white two-story Saint Peter's Church standing proudly on the other side of Cabot Trail. Birdie Time: 16th Hole – 460 Yard Par 5 – Even though this hole plays uphill, at a mere 460 yards for a par five it is absolutely your easiest scoring opportunity of the day. Long players can take a mid-iron into the green and give themselves a look at eagle. Because the approach shot plays uphill, the common miss is short and left since the hill supporting the green has a tendency of repelling weak shots with no regard for your score. Even if you don't reach the green in two, the lack of bunkering around the green lends itself well to getting up and down and carding a birdie anyway. Bogey Beware: 7th Hole – 570 Yard Par 5 – Every once in awhile I stand on a tee box and I'm intimidated. Length rarely causes me to quiver, but ultra tight fairways can get my knees knocking quick. Well, I felt plenty of intimidation at the par five 7th were face a tight hole that also has plenty of length to it. 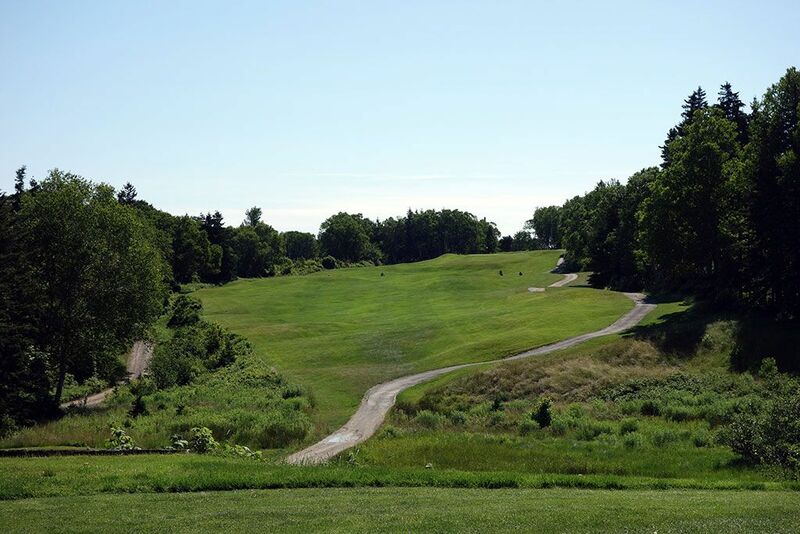 At 570 yards you aren't getting home in two so you may consider hitting a 3 iron off the tee so that you can find the short grass on this winding hole that features a sloping and undulated fairway. The approach shot plays to a green protected by bunkers and sitting up on a rise where most of the putting surface is blind from the fairway. Length, accuracy, and finesse; the 7th hole tests it all and if you aren't on top of your game you'll be happy to walk away with a bogey.